It could have been worse……..
End of a busy day, about to drive home then out of the blue – my car broke down. Just refused to start. Nothing too dramatic but a bit inconvenient. I was not concerned. I have a Gold Membership with the AA. 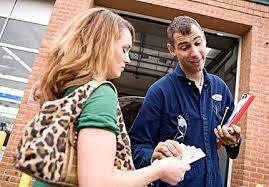 They cover the cost of repairs and a hire car if they cannot get you going. It would be fine. 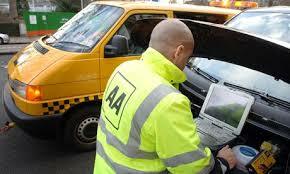 The AA man arrived quickly but after 30 minutes with no joy my confidence started to diminish. “Had I used the right petrol?” I was starting to feel it might be my fault even though I was (fairly) sure I had done nothing wrong. The AA man looked worried – no compression – it would have to be towed. I know enough about cars to understand the implication of “no compression”. It could be serious, possibly fatal. The first question – which garage do you want it towed to? Main dealers are expensive but it was a reasonably new car and I wanted someone who would do it properly. I chose the main dealer. The next day I got the call from the garage. Probably a slipped timing chain which may have wrecked the engine. The next question – did I want to authorise the work to find out what was wrong? Best part of £1000 for just the diagnostic work. Much, much more if their fears were realised. The sums they were talking about seemed mind boggling. Ludicrous labour charges. Could I trust them? Were they ripping me off? Getting the car anywhere else for the work to be done would mean towing and more expense and I didn’t know any other garages anyway. Without the work the car was worthless so I said yes – but felt vulnerable and unsettled. Then I learned about the limitations of my AA Gold Membership. Only 3 days car hire and a maximum cover for repairs of £500 with an excess of £35 – and I needed proof of regular servicing and had a whole load of other criteria to satisfy. I was pretty much on my own. To cut a long story short I needed new engine – over £5000 and 2 weeks work. All outside warranty and so my responsibility to pay. I spent a fortune in taxis and I worried a lot about whether I was being fleeced. For me it was not exactly a life changing amount of money but it was an unexpected loss, and I felt alone and vulnerable. Nobody seemed to be on my side. It was a genuinely distressing week. All sorted now thankfully though but I am still in correspondence with the AA who are asking more questions which are clearly designed to find ways to wriggle out of paying their rather small contribution. The experience set me thinking though. It could have been worse. It was only a car. What if it had been a heart attack on the way to work? And then I realised why we have to be so thankful for the NHS. 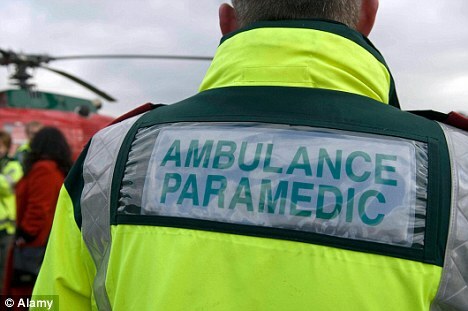 If you suffer a major unexpected health “breakdown” you get immediate emergency attention from the best available – on the NHS. You know that the clinicians’ primary objective is YOUR wellbeing and not THEIR profit. You don’t have to worry about money or making insurance claims. Just about everything you need is available where and when you need it and if not you will be “towed” by ambulance to the most appropriate centre. People take on your problem as their own. They advise and support and try to make it right – for you – with the minimum of fuss. You can trust their motives. Our NHS is under threat right now and we may lose the “free at the point of demand” principle unless there is a significant change of heart from all political parties. We may also find ourselves being treated by people who are in it for the money. Please, please don’t underestimate the value of the NHS just because you have not used it recently. We will be all the poorer if it is gone. It turns out it was a bit worse than I thought. The AA have refused my claim on the basis that a slipped timing chain is wear and tear and thus excluded from the policy. If anything that might be worn is excluded what is the point? I am fighting. Would like to hear if others have had similar experience with the AA. I feel a non NHS campaign coming on. I have now had the letter from the AA confirming they will not to pay up because they presume the timing chain must have been worn. They could not inspect the part because the garage quite rightly refused to strip down the engine. This would have cost more than the value of the claim. As a result I am in a difficult position. The car had done only 23,000 miles and was fully serviced by a main dealer. To me it was a sudden mechanical failure but they disagree. I will appeal but it feels unfair and one sided and I don’t want to throw more money into this mess by involving solicitors. This story illustrates why we must NEVER give up the NHS for an insurance based system. It is also a reason to never use the AA. I may not succeed in getting what they owe but if I can stop just a handful of people joining their dodgy scheme they will be the ultimate losers. Spread the word……….